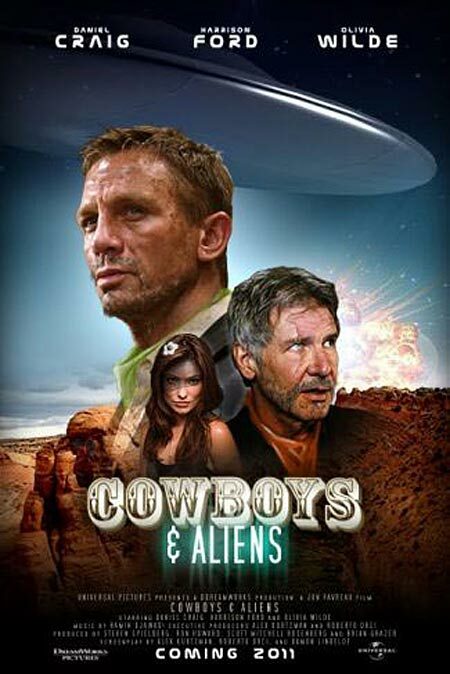 The new movie Cowboys and Aliens puts a tilted spin on the idea of alien. Tear yourself away from Daniel Craig’s azure eyes for a moment and consider the juxtaposition of the concept of alien. The film presents aliens as critters from another world but, for Indigenous folks of North America, settlers were considered alien. In today’s political landscape immigrants from Mexico are alien, although the vernacular has shifted from illegal alien to illegal immigrant. And when the Spanish invaded Mexico, they took on the mantle of alien. In a twist of irony, colonizers of North America shifted the definition of citizen to embrace the settler, leaving Native peoples bereft of the legal designation of citizen. Native Americans were the last to receive the right to vote, long after Blacks and women, in part because they were not considered citizens. Not until 1965 did the US adopt a nation-wide policy to prohibit individual states from restricting voting of American Indians. But in Cowboys and Aliens the settlers, Mexicans and Indians join forces in a melting pot of Us against The Other. Political wranglings take a back seat to vanquishing the extra-terrestrials. The good guys prevail, answering Rodney King’s question: we can get along: at least, in the context of driving out the alien beings. Ironically the indigenous clans of North America failed to drive out their aliens. This entry was posted in authenticity, film, framing, Geronimo, Indian and tagged literacy, stereotypes. Bookmark the permalink.